Getting started with smart home can seem daunting - but at its core, technology shouldn’t complicate your life - it should simplify it. We created this short intro to shed some light on how smart home works and how you can get started using it. The world of smart home can seem daunting — especially for those of us who don’t feel particularly comfortable with modern technology. However, at its core, smart home technology shouldn’t complicate your life — it should simplify it. Imagine waking up in the morning to soft light and the first few notes of your favorite song playing. As you prepare for your day, you ask about the weather and your home responds out loud as you get dressed. As you sit down to breakfast, you are gently reminded that your first meeting is at 10am — and that you should leave in about 25 minutes. Sounds magical, right? This future is a lot closer than you might think. Smart home technology is getting easier and easier to use, however we find most people are a little shy about getting started. For those of you who have been afraid to ask questions or feel overwhelmed by tech terminology, we’ve created this short intro to shed some light on how smart home works and how you can get started using it. A home equipped with lighting, speakers, heating and other appliances that are connected with each other and accessible through one central point. These are devices that are intelligent, courtesy of a connection to the Internet and sensors. These devices know or are able to anticipate what a user needs. At first, this intelligence comes from the settings that a user puts in, but with time the device can learn and adapt to patterns and interact with its users. Smart thermostats like Nest, for example, can learn what your preferred settings are and adjust the temperature in your home according to the time of day and the weather outside. Using a computer or smartphone to control basic home functions and features. With home automation, you can determine a schedule for when your devices will react — for instance a playlist comes on each weekday morning at 7:30am. You can also set up triggers — like your hallway lights coming on when you open the door. A piece of hardware that connects to all of the devices on a home automation network. 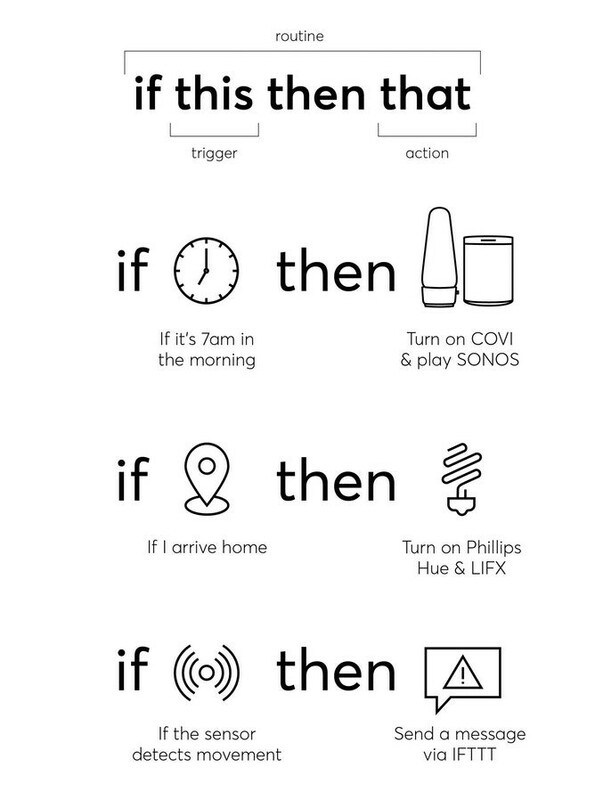 A hub acts as the brain of the smart home, communicating with individual devices and telling them what you want to do. A hub provides unifying software (usually an app for a smartphone) through which you can control all of your devices. The app lets you set different scenarios for different things to happen, based on different prompts. This allows you to optimize your daily routine, control your electronics from anywhere and set your preferences ahead of time to suit your habits. Once you set the schedule, your devices will be automated based on your personal preferences. If your routine changes, you can communicate with the hub via your phone or tablet to adjust your devices accordingly. For instance, if you are arriving home later than usual, you can tell your smart lights and thermostat to turn on right before you get home. The hub allows you to control your smart devices from anywhere in the world using your phone or tablet. This means you can do things like turn off the lights without getting out of bed or let your friend in when you’re not home by unlocking your front door using your phone. Smart home products designed for wellbeing take into account natural human capabilities, attention span, cognitive capacity, emotions and behavior patterns. This resolves a lot of the current problems with digital distraction and allows you to interact with technology in a more innately human way. 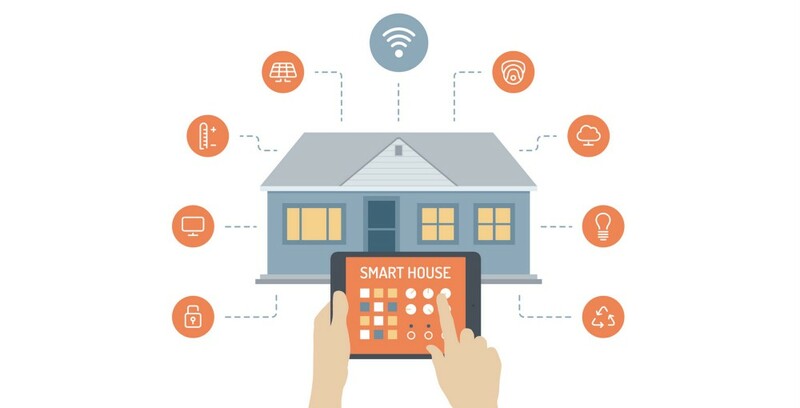 Ultimately, a smarter home provides convenience, control, money savings — and most importantly, a more natural experience that enhances your life and allows you to focus on the things that matter. Have further questions or want to get in touch? We love to hear from you! Shoot us an email at hi@senic.com.